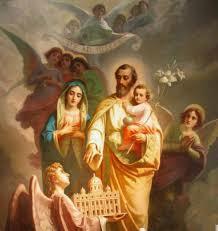 Two Masses for the Feast of St Joseph. 7am Low Mass and 7pm Low Mass. Confessions begin 6am and 6pm.